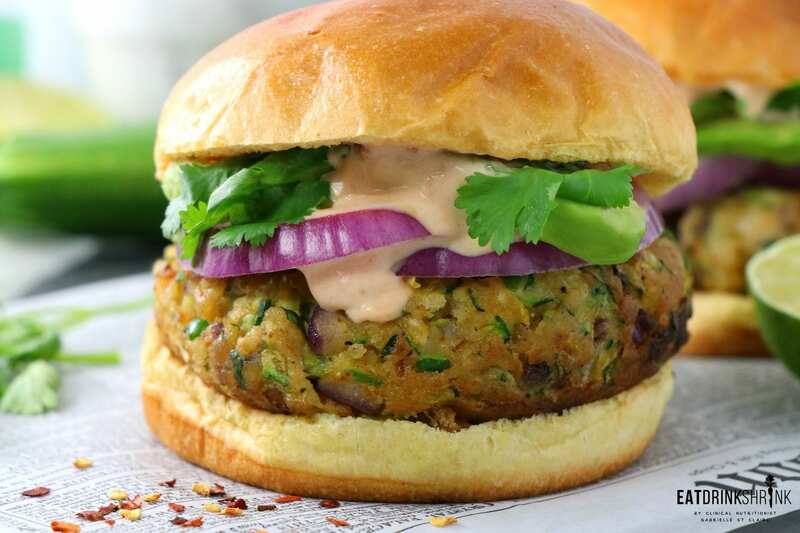 Vegan Jalapeño Zucchini Burger with Chipotle Mayo - Eat. Drink. Shrink. 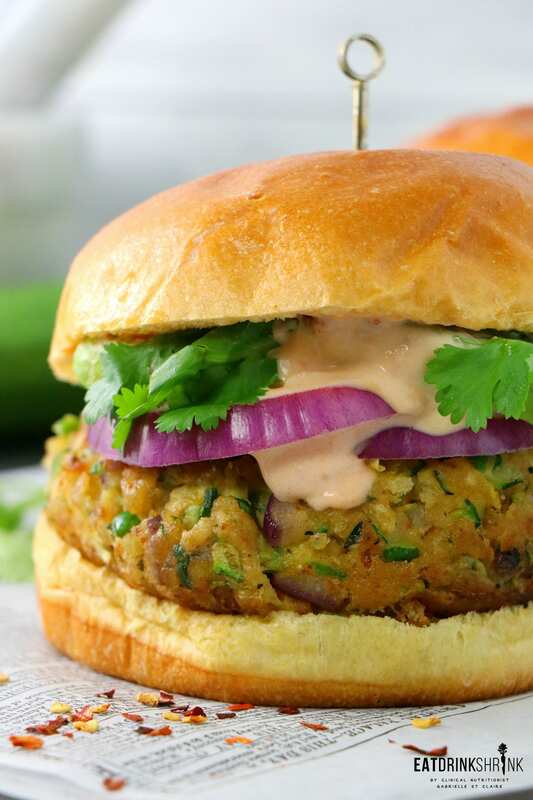 When it comes to vegan cooking, you have to have a staple veggie burger! 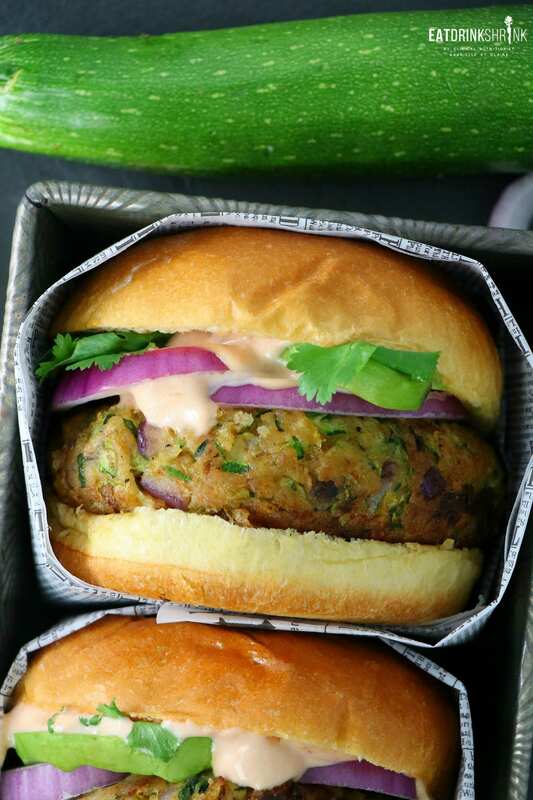 Some of my personal faves are the Greek Burger, Beet Burger, Chickpea Curry Burger, and this new Jalapeño Zucchini Burger!! Zucchini is one of those veggies I love. You can grill it (my fave), make a lasagna with it, throw it in baked goods to add moisture, and make fab fritters or burgers! Zucchini can also ruin various recipes, if it involves draining, you have to ensure that you remove all of the moisture. If you don’t take out the extra moisture it can make everything a soggy mess. I highly recommend getting those mesh nutmilk bags you can find for a few dollars online. They are a million times better than any cheesecloth! 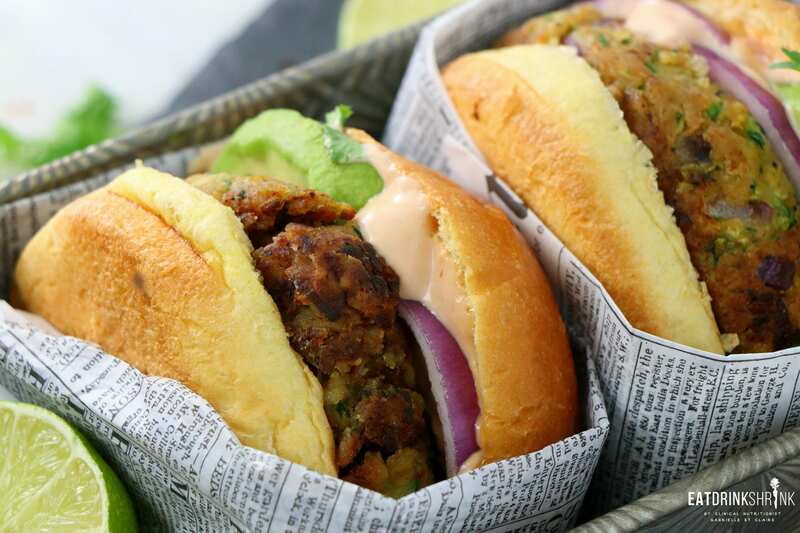 What’s fab about this burger, is that it’s veggie packed, packs flavor, include staple ingredients, has a bit of heat, the flavors blend seamlessly together, it has texture, can easily be made in bulk, perf for any season, and my staple chipotle mayo puts it over the top!! 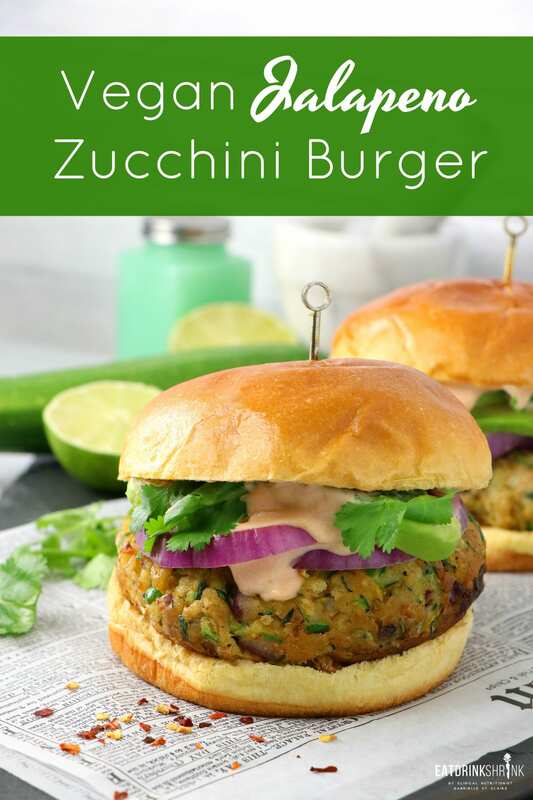 If you love anything with a lil heat or are simply craving a fresh modern vegan burger, you’re going to love this vegan Jalapeño Zucchini Burgers with chipotle mayo!! Grate zucchini, sprinkle with salt, let stand for 10. Make the vegan egg, stir, combine, should have a semi thick consistency. Let it stand for a few minutes, will thicken more, if too thick add almond milk 1tbsp at a time. Take a cheese cloth or mesh nut milk bag and place zucchini in it and squeeze out the excess water. There should be at least 2 cups of water removed. 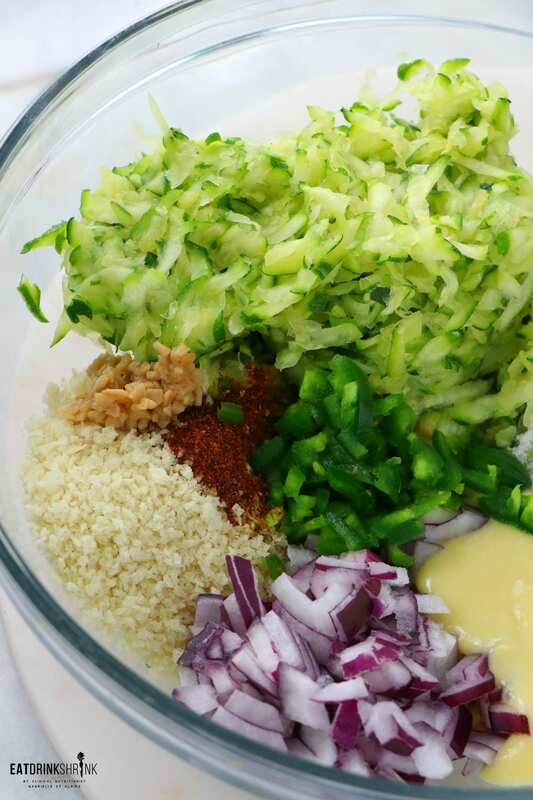 Once zucchini is drained place in the bowl with the rest of the ingredients and mix to combine. You can combine the dry ingredients first if desired. The consistency should be thick not soupy. Heat vegetable oil in a medium size pan on (medium-high heat) and form the mixture into a patty. The pattie should sizzle, you want it hot. The hotter it is the crispier they are and less soggy they can be. Also, the thicker you make the patty the longer it will take to cook and the more likely it can get soggy. Make a small dish of additional vegan egg, wet each patty with it then throw on the pan. Let it cook on one side for 3-5 minutes, then flip. I would cook one at a time to make sure that they cook optimally! Transfer the zucchini fritters to the paper towel-lined plate and immediately sprinkle them with salt. If you're patties still seem soggy, because you didn't drain enough of the moisture, simply throw them in the oven for 10 minutes on 350, will drain the liquid more and still give a crisp edge. Chipotle mayo: combine the vegan mayo, chipotle chilis and lime juice. 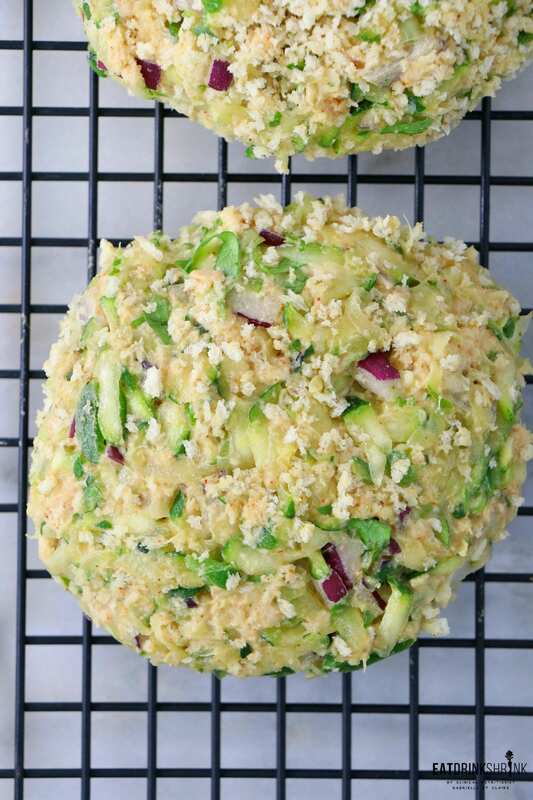 Top the zucchini burgers with a dollop and garnish with avocado, red onion, and cilantro. Sounds delicious! Would a regular egg work in place of the vegan egg? Yes! I'd use 2 eggs, beat them then add to the mix. Let me know how they turn out!